Oct 21st 2011 is 45 years on from Aberfan disaster: It is an apt time to reflect on Mining as a Heritage for Socialists. But is it really the future? Men dug anthracite, that Black Stuff out of the coalmines, but it was not just coal which came from those mines – so did Trade Unions and British Socialism. It was Tredegar miner Aneurin Bevan, who led miners to socialism, admired by many and loved for his NHS. Another miner, socialist favourite Dennis Skinner worked as a miner for 20 years in Clay Cross, Derbyshire. There is no doubt that the Labour Party’s heart came from the miners, and their comradeship. The conditions the miners endured below ground were horrendous, thick dust breathed in leading to pneumoconiosis and other respiratory diseases. Mines were owned by profiteers, who were not adverse to cost cutting and risk taking, which meant deathly pit accidents were feared and witnessed. One of these happened on my grandfather’s shift, in a Pit in the Rhymney Valley, not far from Tredegar. He was lucky to survive; many did not. But it is the words of the grandmother I never knew whose words haunt me. Seven sons survived to adulthood. Her best hopes were that they were to go to war; she knew the alternative was to go down the mines. She’d lost enough loved ones that way. She wasn’t prepared to risk more. So, they went to war – and they all came home. The comradeship of men who worked below ground, each dependent on one another for their very survival, was so strong. Never frightened to stand up for the rights of the working class, they were the enemy of the parasitic-over-privileged. So it was then, as it is now – the fear of the loss of that privilege and wealth accumulated from others’ toil and sweat, generates the lengths that those in power will go to, – the history of silencing those who resisted or spoke out, is violent and bloody. As I child, I listened to tales of the Valleys, and the one I remember was about Winston Churchill. He, yet another very privileged man turned his wrath on the miners of South Wales. In 1911, as Home Secretary, Winston Churchill sent in troops against British Citizens. My own memory, is being horrified, as a child in 1966, 21st October when the News came of a slag heap slipping onto a school in Aberfan South Wales, burying a whole generation. I visited Aberfan, a few years ago, the saddest place, forever haunted and grieving for a lost generation. In total, 144 people were killed – 116 of them children. The last body was recovered nearly a week after the disaster happened. The National Coal Board said abnormal rainfall had caused the coal waste to move. The Inquiry of Tribunal later found that the NCB was wholly to blame and should pay compensation for loss and personal injuries. The NCB and Treasury refused to accept full financial responsibility for the tragedy so the Aberfan Disaster Fund had to contribute £150,000 towards removing the remaining tip that overlooked the village. This was finally repaid in 1997 on the instigation of Ron Davies, the then Secretary of State for Wales. The miner’s strike of 1984 – 1985, culminated in victory for Maggie Thatcher, the disintegration of the Trade Unions, and the beginning of a long era where the rich profited, unemployment soared, and many families lived in poverty with little hope. The loss of the coal industry went straight the heart of socialism, it was mourned by the membership who saw no alternative. The move to the right in the political arena. Arthur Scargill had alienated so many. After years of Thatcher, and the disappointing loss in 1992 Labour lost its roots, and Tony Blair saw a Labour Party desperate to regain power and took the opportunity. Labour continued in the wilderness of neo-Liberalism, oversaw an ever widening gap between rich and poor, and the working class now have no-one to represent them. While writing this article, four men lost their lives, in a tragic pit accident having become trapped 90m (295ft) below ground in the flooded Gleision Colliery near Pontardawe (Swansea Valley) on 15th September 2011 Think Left are saddened to learn that more lives are being lost below ground, and our thoughts and compassion go to the families of these four men, to the survivors, to the communities, and to those who tried in vain to rescue them. These deaths did not initiate this article, which was already being written .. but for them and others, it will be concluded. Garry Jenkins, 39, and Phillip Hill, 45. Where are we Now? Have we Moved on? Riots in London and other inner cities mirror the unrest in the mines in 19th century. Still those in power seek to silence. We face another crisis. The energy-rich oil, which the west has come to depend on, is running out. It is now predicted that there will be an Oil Crunch, the oil reserves will have peaked by 2015 … and if we to avert wars, poverty, unemployment… we must face up to it. There are arguments that the coal beneath our feet – and there is plenty – may be the answer to our energy needs. The environmental and climate effects of continuing to mine coal would be catastrophic. Many countries have depended on fossil fuels, which are worth hundreds of billions of dollars each year. Even with proposed Carbon Capture and Storage methods, which might be adopted in future, there would only be a 70 to 80% reduction in emissions and it would require a great deal of extra energy to be supplied for the process. Indeed, it is doubtful with the extra costs of disposal of waste whether it would be financially viable at all. If CCS is developed, the extra cost of disposal of carbon dioxide captured must be considered and until CCS is commercially viable, any newly commissioned coal-fired power station would be adding more carbon dioxide into the atmosphere. The removal of acid creating gases such as sulphur dioxide and nitrogen oxides from emissions from coal fired power stations comes at a cost; funds which if diverted into setting up renewable energy projects would be a better investment in the long run, with much lower maintenance costs. The latest iteration of IGCC is the FutureGen project, proposed by a public-private consortium. Touted as “the world’s first near-zero emission coal-fueled power plant,” it’s set to be built (pending federal approval) at Mattoon, Illinois, at a cost of nearly $2 billion. The project’s backers claim they can deliver 99 percent sulfur and ash removal, 90 percent mercury removal, and low nitrogen oxide production. Plus — and this is what gets everybody’s attention — the plant supposedly will capture carbon, too. Controlling the toxic pollutants should be doable; the techniques involved are fairly well understood, if pricey. The coal’s sulfur content will be converted to hydrogen sulfide and ultimately to marketable elemental sulfur. Mercury will be captured in a bed of activated carbon, which will then be landfilled or reprocessed to extract the mercury for storage or sale. Lead, arsenic, and other heavy metals will be removed by water scrubbing and captured in the plant’s water-treatment system. Ash will be captured as molten slag or light fly ash and landfilled. Ideally the leftover chemicals you mention will be safely burned off in the combustion process. Global warming and the melting of the ice-caps are indeed a major concern, and while some of the proposed technological processes regarding reducing air-borne pollution from coal power stations (such as CCS currently under review) would reduce emissions of carbon dioxide, it would not remove it entirely. Furthermore, carbon dioxide is not the only greenhouse gas which emanates from the process of coal mining and energy production from it. There will also be the costs and dangers of carbon dioxide storage when it is developed. If they use spent oil fields for storage they will have to provide a pipe-line many miles out under the sea. Consideration must also be given to methane. The unpredictability of the release of methane from working seams, and particularly with regard to safety of underground mines and the risk of explosive gases being released. The climate-warming effect of methane is 15 times that of carbon dioxide. Fugitive emissions arise during the coal production/extraction process where previously trapped methane and carbon dioxide gas is released into the atmosphere as coal seams are mined. The level of fugitive emissions varies from mine to mine. Factors that influence the amount of fugitive emissions from a coal-mine include geology, depth and type of mine, amount and type of gas contained in the coal and whether all gas is automatically released or a portion is retained in the coal. Economically, the cost of disposal of these pollutants must be taken into the equation. There are so many who have a vested interest in fossil fuels that persuading them is no mean task. However, common sense tells us that re-opening the coal mines is not a solution for any one other than the power companies who want a quick centralised fix…their profits would dissipate with the adoption of a distributed network of microgeneration and other renewables. If we take everything into account, coal is not cheap. Coal requires construction of pits and power stations, ongoing transport of coal with associated Greenhouse Gas emissions. Miners and power workers to be paid and compensated for health problems. I have concerns as to whether all health and safety concerns would be adequately funded. There are also environmental costs and slag heaps that would have to be cleared, made safe and landscaped. There would also be conservation cost with the destruction of ecosystems. Compare all this with the one-off costs of construction of a wind turbine or solar panels, after which there are simply the costs of maintenance. Wars in the middle East have been fought over fossil fuels , but we must face up to the fact that oil is running out , and unless we do so we will all lost this war on want. Jeremy Leggett warns us that the Oil Crunch is coming very soon, before 2015. From July 2010, Bloomberg reports that the global subsidies for fossil fuels dwarf that for renewables tenfold. Global subsidies for fossil fuels dwarf support given to renewable energy sources such as wind and solar power and biofuels, Bloomberg New Energy Finance said. The dangers of mining as an occupation are well known, and the health risks extensive and even if risk is minimised, it cannot be eradicated. Furthermore, there are unknown dangers in disturbing previously worked seams. The risk of causing old workings to collapse is difficult to gauge. The risk of explosion and flood is ever present. Use of coal in the home has direct and negative effects on childhood growth. Science Daily (Feb. 8, 2011) — Children raised in homes using indoor coal for cooking or heating appear to be about a half-inch shorter at age 36 months than those in households using other fuel sources, according to a report posted online that will appear in the June print issue of Archives of Pediatrics & Adolescent Medicine, one of the JAMA/Archives journals. Diverting subsidies and investment away from fossil fuels and nuclear fuels towards major renewables will not only ensure sustainability, but in the long term it will be more economically cost effective. Consideration should be given to harnessing more energy from the sun. It has been shown that the cost of photovoltaic technology is much cheaper than widely believed. Falling prices of Solar PV Panels means that electricity generated by solar PV systems could cost the same as that produced by conventional methods as early as 2020, with some countries achieving this by 2013. Consideration should be given also to harness solar energy from equatorial areas, the world’s deserts. A new national and international grid of high voltage direct current (HVDC), with the cables buried underground and under oceans could connect renewables together, securing continuity of supply and redistributing energy around the world, without polluting the planet. “Off the northernmost tip of Scotland, where the turbulent waters of the Atlantic Ocean meet those of the North Sea, sits a chain of 70 mostly uninhabited islands collectively known as Orkney. Best known for its wildlife and Neolithic historical sites, it isn’t the first place you think of as a centre for cutting-edge science. Yet it is at the heart of what could soon be a renewable energy renaissance. What of The Wider Environment? Washable Coal is washed in the Coal Washing Plant to get rid of contaminants, with a 60 percent average recovery. So where do the washed contaminants go, dare you ask? The residents said coastal resources including mangroves have died or have been contaminated by wastes coming from the coal washing plant a wide area of their seas, on which residents depend for their livelihood, is slowly being destroyed because hectares of their mangroves and seagrass are slowly dying. These have been contaminated the water and marine resources. Silt has covered their coastline and mangroves as waste coming from the company’s coal washing plant goes directly to the sea because the siltation pond has not been operational for a long time. The washing plant removes soil and rock coal before it is utilized or marketed. Mangrove trees have already died because the silt that has covered the waters has reached more than a foot deep. UK Coal want to start a surface mine (opencast) in the Pont valley. This area comprises both coniferous and deciduous woodland and one less common type of habitat; ponds. Ponds are forgotten havens of biodiversity. Hedgerows got a bit of publicity a few years back, people have camped in trees to save them from road expansion but to my knowledge there has never been a Save Our Ponds campaign. In the planning application for opencast UK Coal said that they would relocate several mature ponds to a location in the valley that does not lie over a coal seam. Recovery would take decades. It would be impossible for plant species and invertebrate populations to be relocated effectively and the gradual increase in biodiversity over time would need to start all over again. This is known as secondary succession. In consideration of these factors, I conclude that all of our energy needs can be satisfied without the use of fossil fuels of any kind, and without nuclear fuels. We should be actively minimising use, and the government should be facilitating and encouraging this. Research such as this at Oregon University indicates how much wasted energy might be harnessed. We have so much to thank past miners for, – for our heritage which brought us socialism, votes and rights for working people. We should not feel that we are our turning our backs on the miners by now looking for alternatives to coal. We have not betrayed them; on the contrary, we owe their descendants a clean future and a sustainable future. Miners led the way for us. Science leads the way forward. Working together in solidarity, we must not accept that we can risk our planet to satisfy profiteers. Why should working men risk their lives so others can line their pockets? Why should we live in a dirty world? Why risk more wars over oil? Investment in green industries, homes and energy can lead to employment which is safe, clean and ultimately more financially viable. The Labour Party therefore must…. Recognise that the supply of oil will peak in the near future and we must act to avoid a total supply collapse. Ensure a Labour government will invest in green energy, not fossil fuels and nuclear. Nationalise utilities and transport. These should be at the heart of Labour Manifesto. Seek to provide full employment as a priority where there are now areas of high unemployment, such as former coal mining areas by provision of green-related technologies such as manufacture of Photovoltaic panels, wind turbines, tidal/wave turbines etc. Invest in Science in our Universities and our Industries. This entry was posted in Economics, Employment, Environment, Health, Opinion, Science and Research and tagged Carbon Capture, Carbon dioxide, Coal, energy, Environment, Kinnock, miners strike, POllution, Scargill, Thatcher by Pamplemousse. Bookmark the permalink. 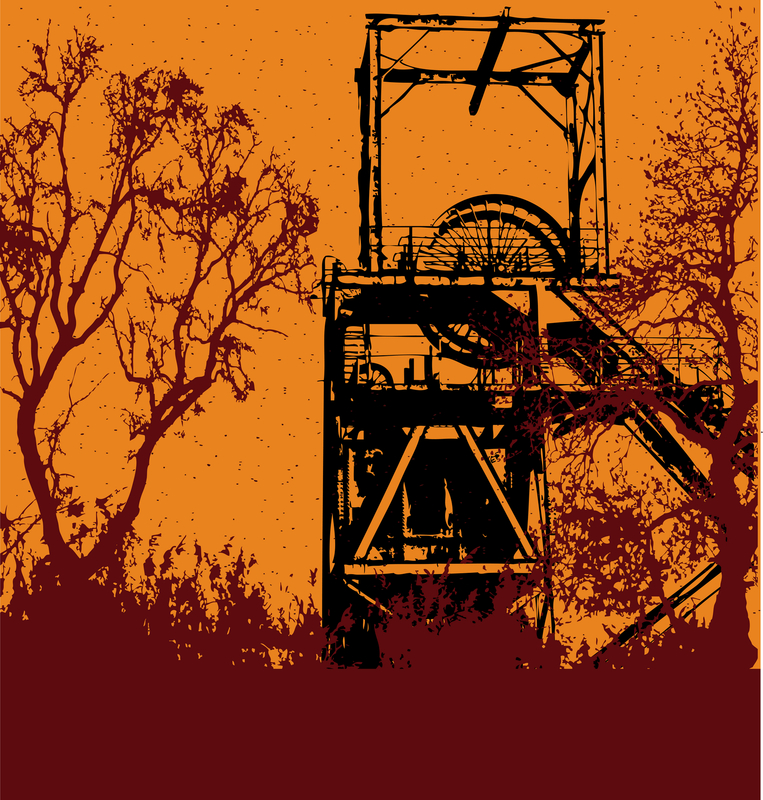 As the eldest daughter of a mining family and a keen environmentalist, I confirm – the miners in our village in the North East of England were a solid community, stuck together through thick and thin, held the ‘collective’ memory of pit disasters and individual memories of lost loved ones. Our communities still have these characteristics – ingrained from the trials and tribulations of their forebears and those still struggling on. The lasting legacy of coal should be that spirit of collectivism to work together for a green and clean environment, built for the global good. I respect Neil Kinnock, but he’s wrong about Scargill. The ballot issue is rubbish. The requirement to ballot was a recently introduced Tory law that impinged on miners’ basic civil liberties. Really, Kinnock has no good answer for the failure of the Labour Party and the unions to stand with the miners and he doesn’t understand that faced with a vicious opponent like Thatcher, the miners had no choice but to do what they did. As for the members of the public who sided with the government against the miners – to hell with them. I still can’t watch the footage of the miner’s strike and I have never been able to forget Kinnock’s betrayal. The roots of New Labour lie in his era. Militant were never the threat that the right of the party showed themselves to be in the subsequent reign of Tony Blair. The two Eds should take heed. we will never forget that miners’ strike, and for me, I always remember my very young daughter saying as she saw a policeman use his truncheon, “Mommy, why is the policeman hitting that man.” “I don’t know, darling,” I replied. How to explain to a four year old?